ORM Designer is a visual ERD database tool with full support of ORM frameworks based on XML or other structured markup language. 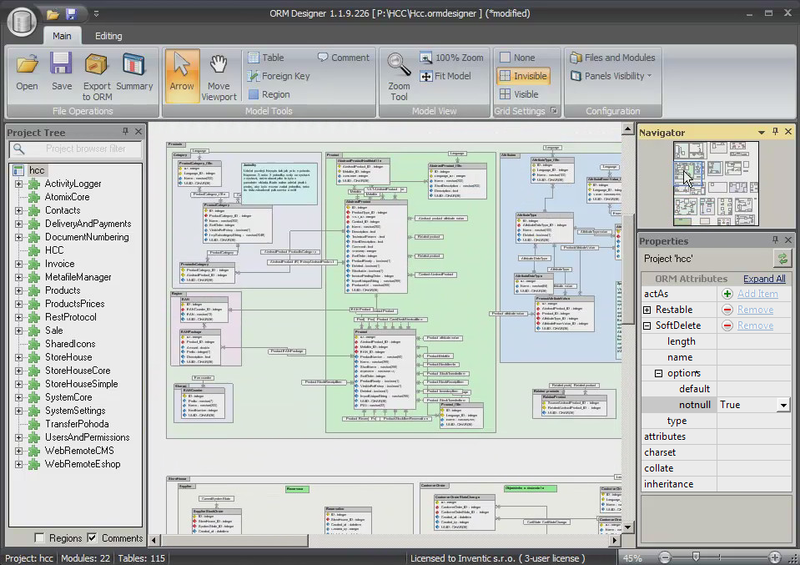 ORM Designer was created to replace manually written kilobytes of text definitions with graphical interface. ORM Designer is a visual ERD database tool with full support of ORM frameworks based on XML, YAML or other structured language. Manually written kilobytes of text definitions is replaced with easy-to-use graphical interface. ORM Designer was created by developers for developers to save you time every day. But even if you don't use any ORM framework you can still benefit from plugin support, effective work-flow and extendibility. Several hours were spent beta testing the user interface to make the common tasks quick and easy. Thanks to a very flexible design almost any ORM framework with definitions stored in a markup language can be fully supported. Currently supported ORM frameworks are PHP Propel and PHP Doctrine. Symfony web framework in combination with Propel and Doctrine is also supported. Other web and ORM frameworks will be supported in next releases. ORM Designer supports framework specific options like object behaviours, inheritance, I18N (internationalization) or versioning. You can organize the model into regions to keep related tables easy to find. Data model can be separated into plugin or module files and reuse these parts in another project. ORM Designer has all its internal definitions stored in a human readable XML format. Which means you can always easily check and compare changes made to the model when committing to versioning system and also you can make post processing scripts of database model. System Requirements: Windows compatible system, 1Ghz CPU, 512MB Ram.